4,386 SF Commercial Building for sale in Historic Downtown Brooksville, zoned C-2 and walking distance to the courthouse and restaurants. Current Tenants include a Beauty Salon with tanning, hydrotherapy, and massage rooms. Multiple rooms/offices throughout, easily customizable. Second Tenant is an Antique Shop with multiple display areas and hardwood floors. Was a dance studio previously. Corner lot with rear parking. Can be a great investment with current tenants, or converted to relocate your business. Has a functioning kitchen. Salon equipment can be negotiated if desired. This former bank branch is located in historic downtown Tarpon Springs. The building is on the northwest corner of the South Pinellas Avenue and Lemon Street lighted intersection. This is one of the most desired locations in Tarpon Springs. The property features ample parking at the rear, excellent exposure and a pleasing façade. This street level space consists of 3,648± square feet of professional office with bank use build out – private offices, service window and customer areas, vault, ATM, street and parking lot entrances, drive through window and lanes, and upscale interior finishes. Recessed docks (3) are just outside the entrance of the building providing convenient access for unloading/loading cargo. This unit is adjacent to a main thoroughfare that runs through the business park, and all adjacent buildings share access and use of the “Common Loading Docks” just feet away from the North/South CSX Rail Main Line & the DCBC rail spur. These loading docks offer fully covered loading & un-loading via (8) Dock’s with Levelers, Ground Level Access, & Potential Rail Dock Access. Multiple Entry Points into this unit. This exceptional office condo is located in the historic Arlington building in downtown Tampa. Over 1,800 SF of modern style contrasts with the traditional tin ceiling preserved from the building’s early 1900’s design. The space features a conference room, 2 glass-walled offices and, above the break room, is a loft office with private lavatory. Glass walls create separation while visually remaining open and bright. “Landing stations” provide desks for employee flexibility. Reclaimed wood walls at the entry provide a level of privacy between the reception area and main offices. 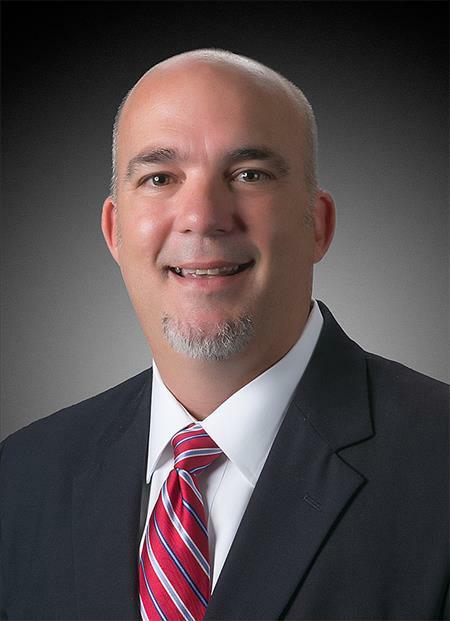 Robb J. Sercu is the Managing Director for Berkshire Hathaway HomeServices Florida Properties Group - Commercial Division, one of Tampa Bay’s premier real estate firms. With over 25 years of experience in commercial real estate, hotel development, restaurant ownership and operations, Robb brings a unique knowledge of the market and services that provide the highest level of professionalism for his team and customers. Tampa among top hot spots for new residents in U.S.
Berkshire Hathaway HomeServices Florida Properties Group – Commercial Division offers clients the best of both worlds: the expertise of a locally owned and operated company together with the strength of the Berkshire Hathaway HomeServices network.